Are you ready to unleash the one-of-a-kind, modern and sophisticated wpf rich text editor to help provide superior control over your next project? If the answer is yes, then you need to know what to look for. 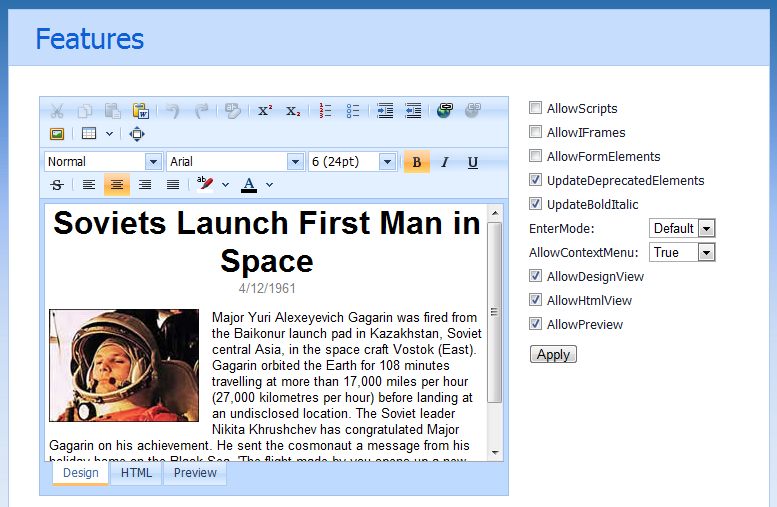 With the proper tools you can deliver innovative applications featuring various dynamic WYSIWYG editing features and wpf rich text editor. With the unique features of a quality tool, you can be sure to deliver unique and quality end user experienced right away with easy and without the usual hassles you encounter. While the customization is also available with various advanced APIs, you now have the added benefit of the WPF HTML editor for control of projects that can be easily learned and used by both expert and novice programmers. 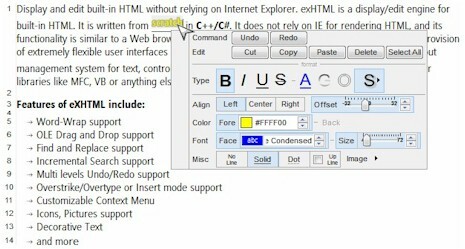 Now you will have the ability to create clean XHTML without the need for RTF conversions. Think about the benefit of being able to publish instantly to the precise area of your website without the need for any type of revision. The need for only one method to call up all local image uploads to your FTP server, which will simultaneously update the image source of the references according to the actual uploaded remote URL. Have a method for converting all of your local images as the Base64 and also updating the created HTML Document according to these specifications. The pasting event will fire before you even paste any content from your clipboard, it is event argument object is also able to be manipulated or utilized for pasting the actual content. The change event via HTML will fire just when the content happens to be changed. Gain an increase in overall productivity and ensure accurate programing with the API content manipulation – setter or position getter. A number of selections related methods all presented to users in a logical and sensible manner. When it comes to finding the right tool for the job, putting in some work and due diligence is essential. You have to take the time to determine exactly what your needs are and then accommodate these needs with the proper tools and equipment to easily and quickly get the job done. You cannot afford to settle for a cut-rate, sub-par version that will not allow you to easily get the work done that you need to do. Take your time, do your homework and you will find that it is quite easy to accomplish the visual you want for a web page and ensure that it loads and performs as needed. This will ensure that you meet the high standards of your audience at all times.